Pamela D’s review of Who Could That Be at This Hour? Pamela D's Reviews > Who Could That Be at This Hour? Although Who Could That Be At This Hour? has the fun and clever writing that Lemony Snicket is known for, I did not enjoy this book as much as "A Series of Unfortunate Events." The book did not have the Gothic feel that the previous series had and for some reason that took away from the book. Also I found the "a word that means" to be used too often, and I grew tired of it quickly. 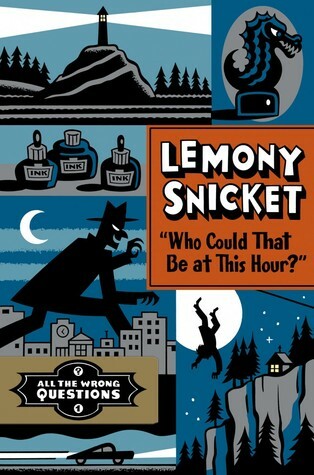 At the same time, I am excited to learn more about Lemony Snicket, and I will continue to read the series. Reviews of the second book in the seriesWhen Did You See Her Last? suggest that it is a stronger book, so I will give it a try. Sign into Goodreads to see if any of your friends have read Who Could That Be at This Hour?. 33.0% "Not as strong as A Series of Unfortunate Events."